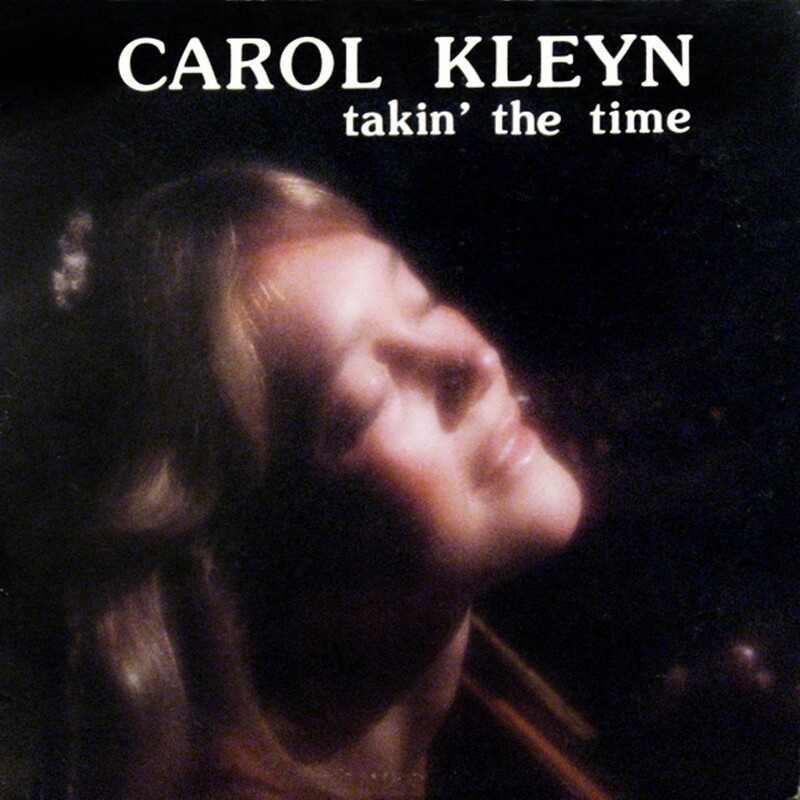 In 1976 and 1980, singer, songwriter, and harpist Carol Kleyn decided to stop waiting on the major labels for "a deal" and released two albums herself, selling them at performances on the street and Renaissance Faires. Both have been rescued from collectors' obscurity by the Drag City record label. The latter, Takin' the Time, is a fine set of lovable and lovely folk-pop, if not exactly a lost classic. Understand this: Kleyn plays not the mouth harp (harmonica) nor the autoharp, but the big harp, similar to the ones Harpo Marx played in the Marx Brothers movies' musical interludes. For about half of Time, she is backed by a small band (guitar, bass, drums). For the rest, she goes solo. Kleyn has a charmingly gentle, pastoral, slightly trilling soprano voice, evoking Judy Collins, Joan Baez, and The Pentangle's Jacqui McShee. "She Lost Her Crown" is a pensive folk-rocker that, performed by We Five or Fleetwood Mac, might have been a radio hit. The jaunty romantic travelogue "Sailor Take Me" has echoes of Greenwich Village coffeehouse balladry and a Mexican border cantina. Though it's an original composition, the mythic-creature-laden "Missy Robin" sounds as if it could be a medieval ballad — with only soaring voice and rich, crystalline harp, it's spellbinding. The solo instrumental "Intermission" brings to mind ancient European minstrels' modal songs for lute.